During pregnancy a woman has to undergo many changes which sometimes the body finds difficult to adapt to. These hormonal changes affect all the aspects of the human body and the circulatory system is no exception. Some women get highly stressed during their pregnancy period which leads to high blood pressure. It is not advantageous therefore various therapies and exercise courses are available for women, which they might undertake when they are pregnant. These changes may lead to nausea and uneasiness but things return to normal shortly after child birth. A normal blood pressure is very important during pregnancy. As the circulatory system plays the major part in supporting the life inside you, growth of a fetus directly depends on the circulatory system. Through blood circulation the fetus receives oxygen and all the other nutrients which are essential for its survival. The placenta and the umbilical cord with the help of blood circulation aid in carrying the oxygen and the nutrients to the baby. The fetus extracts the nutrients and oxygen from the mother’s blood and returns the deoxygenated blood to the arteries which send the deoxygenated blood to the lungs for oxygenation process. During pregnancy, the total blood pressure and cardiac output of the mother’s blood increases up to 30 to 50 percent. The blood pressure is at its highest limit in the 24th week of pregnancy and starts dropping again during the 30th week. Blood pressure is the highest during labor. During contractions, the blood pressure rises and falls continuously. 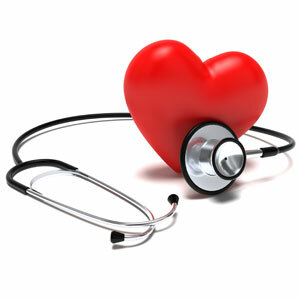 At this time the rate of heart beat reaches up to 90 beats per minute. Also the composition of the blood changes, resulting in more plasma than red blood cells in pregnant women as compared to non pregnant women. Fatigue is the most common type of discomfort pregnant women experience during pregnancy. Besides, morning sickness, nausea on seeing certain food and affinity towards other foods are some other types of discomforts women usually face. Dizziness and swelling also result due to high blood pressure. High blood pressure increases the blood circulation which results in swelling of veins especially in lower parts on the body like feet and legs. Dizziness is also caused due to increased rate of blood circulation and can also result in headaches. Hemorrhoids may also develop in the lower parts of the body due to the changing blood circulation. Urine production decreases, contractions, vaginal bleeding, pain in lower abdomen and shaking of hearts and feet, less movement of the fetus are some other changes which might occur due to rapid heart rate of the mother. If the circulatory system is not functioning properly various complications are faced by the mother as well as the fetus. It might lead to an intrauterine growth restriction which is a condition in which fetus is unable to grow properly in the uterus due to improper circulation of blood. This situation is extremely dangerous and may lead to a poorly developed baby. Complications for mother include preeclampsia, which is a serious rise in blood pressure along with increase in protein in mother. This can cause malnutrition in the mother. The mother may also develop anemia due the increase in blood pressure. You should sleep on their left side so as to avoid obstructing the vena cava. Vena cava is the vein that controls blood circulation from lower part of the body to the heart. You should avoid prolonged standing and sit with feet up. Moreover, there are many exercises available which include foot rotation (circular movement of feet), tailor sitting (sitting cross legged to improve circulation), massages, pelvic rocking, hip sways (circular movement of hips) and bridge.